Joseph Hildebrand joined Saville in 2008, and has experience serving high-wealth individuals and their closely held businesses. His specific industry experience includes real estate, construction, healthcare, and family offices. 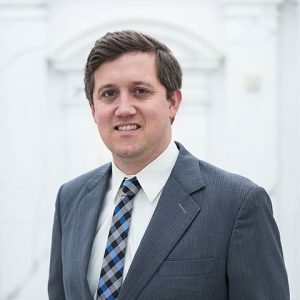 Joseph has advised businesses through the purchase, development, and sale of their businesses in multiple states, and provided consulting regarding compliance and tax- saving techniques through these business cycles. In addition, Joseph leverages his knowledge of tax planning to advise clients on topics such as entity structuring, retirement planning, and best practices. Joseph and his wife, Emily have two little girls, Ellie and Charlotte. They reside in East Dallas and enjoy travelling, attending sporting events and activities with their family and friends.